Without the need for ladders or access platforms. High pressure cleaning for driveways, footpaths and decks. Majestic takes pride in delivering professional-grade exterior cleanings on Long Island at reasonable local prices. As a locally-owned company, we specialize in providing expert-quality window cleaning and pressure washing services to Long Island, Huntington NY and the surrounding areas. Call your local cleaning experts today! We can tailor-make a cleaning package to suit your unique requirements and make sure your whole home feels refreshed. We offer professional window cleaning and pressure washing services for Residential, Commercial and Storefront Properties in Nassau & Suffolk Counties. We know that you lead a busy life and can’t be waiting around, so we make sure that when we set an appointment we keep it – no excuses! We’re a local family run business based in Huntington, with an emphasis on friendly service and quality workmanship. We offer a professional & reliable cleaning service all year round to make sure your home or business is always looking its best! We have some innovative tools and techniques that allow us to clean higher windows, clean safer, and even reach awkward areas. We believe that ‘service with a smile’ is an essential part of business. We want to leave every client happy not only with our work, but also with our attitude. Customer support is vital to any thriving business. We try to return calls, answer queries and respond to e-mails as quickly as possible. We’re proud of our attention to detail and high quality workmanship – so proud that we offer a 100% satisfaction guarantee with every job. If you’re not happy for any reason, just let us know within 24 hours and we’ll re-clean the affected area free of charge. Cleaning is our whole business, not just a summer job. We offer professional cleaning services all year round, as long as the weather allows, to keep your home looking great, no matter the season. We know that customer satisfaction has been the key to our success and we work very hard to achieve 100% customer satisfaction with every job we undertake. If for any reason you aren’t satisfied, just give us a call within 24 hours and we’ll return to re-clean the affected area free of charge. Majestic has over 15 years of industry experience cleaning windows to an impeccable level of quality. We offer professional window cleanings to local homes, businesses, and commercial storefronts. Since 1998, homes and businesses across Suffolk and Nassau Counties have relied on Majestic’s expert window cleaning services. We focus on providing quality results with every clean – from the top of your windows to the bottom, you’re left with a spotless clean every time. And, thanks to technologies like Pure Water Cleaning technology, our results have never been better. 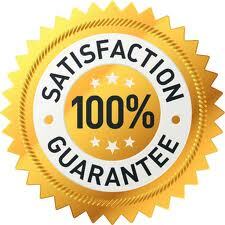 Majestic is famous for its pressure washing work in Long Island. We use a combination of pressure washing and soft-washing to thoroughly clean the exterior of your home or business. Using state-of-the-art equipment and professionally-trained technicians, we can rejuvenate your exterior in a way you didn’t even know was possible! Whether you want to restore your driveway, revitalize your footpaths, or make your deck look brand new, Majestic’s pressure washing services can help your home look amazing from the gutters down to the driveway. Forget the pricey, pre-packaged options from big name window cleaning and pressure washing services! Majestic takes a different approach by offering personalized cleaning services to every client. Our packages are catered to your specific needs. That means you never overpay for services you don’t need. You pay honest rates for honest work. And at Majestic, we strive to keep costs low for our clients. Since 1998, Majestic Window Cleaning and Pressure Washing has carved a rock-solid reputation for quality workmanship, attention to detail, and customer satisfaction. Contact us today for a free estimate on your window or exterior cleaning project. We serve all residential, commercial, and storefront properties throughout all of Nassau and Suffolk Counties. I would highly recommend this company! I had them come to my house last Friday to power wash my house, driveway, front stoop & wash my windows.. They even power washed my shed. They did an amazing job! They showed up on time, cleaned up & everything was cleaned to perfection..They are courteous & professional. Thank you , Mike & crew for a terrific job! My husband, two kids and I recently relocated from the south to the Levittown area. We were told this is a close-knit town and that the people in it really care about one another. Majestic Window Cleaning is a great example of a local business who goes above and beyond for their customer creating a great consumer experience. Our new home has lots of large windows and it was clear that they hadn't been professionally washed in quite a while. By the time they were done, my windows looked BRAND new and I couldn't believe the amount of light that was now entering my home, brightening up the whole place! Their attention to detail is noteable and it was an overall pleasure to work with them. I will make sure to recommend them to everyone I know!